As expected by us and You, HTC has finally released HTC One in Indian market at official price of Rs. 42,900. If you’re wondering where to buy HTC One, you’ll have to wait little more as the phone is still not available on any major Indian shopping website online or in market, but few shopping websites have already started taking pre-orders for HTC One. Based on several reports and tips from retailers, HTC One will start selling in markets from the last week of April. Keeping this schedule in perspective, it’ll be available in all major cities in India starting May, 2013. As far as the price of HTC One is concerned, it is competitively priced at Rs.42,900 INR as this phone is the best flagship from HTC, and Samsung is expected to launch Galaxy S4 in India at about Rs.44-45,000 around May 10. HTC One is amazingly gorgeous in design and boasts of powerful internals like Snapdragon 600 chipset, 4.7 inch Full HD display, Beats audio and 4mp Ultrapixel camera. There are many HTC fans who love their phones for awesome build quality and design with promising set of top-notch specs. But, given the popularity of Samsung Galaxy S series phones, it’s interesting to watch how the two phones stand in Indian markets. Since, HTC One is released before Galaxy S4, this is one big advantage for HTC. 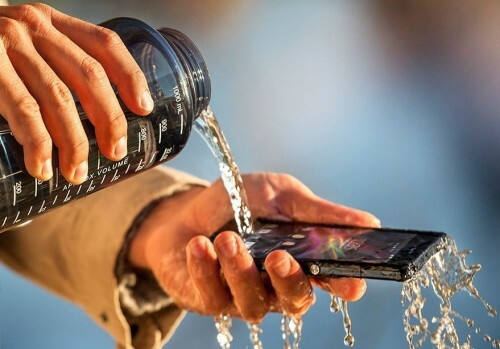 Likewise, Sony Xperia Z is already selling in the market, which has been big advantage for Sony to capture some high-end users under its umbrella. If you’re excited about these phones and want to buy one, do wait for the official release of Galaxy S4 also, so that you could finally conclude the best phone suited to you among these three choices. Going with any of these, you can’t be wrong as the three phones fall under top-end android phones category and they’re worth their price. For those who are more price-conscious, our advise is to wait for more months as the price will eventually fall down soon as has been the case in the past. Read our post on Comparison between Samsung Galaxy S4 VS HTC One VS Sony Xperia Z. Also check the articles below in Recommended Posts section to find out more about the best android phones of 2013.